This tracker has no independent power supply. To operate it you need to connect it to the car battery. The needed voltage is 9 to 24 V DC. With it you can remotely control one of the relays in the vehicle (such as the one of the fuel pump). When you submit a command by SMS the tracker will turn off the fuel pump and it will stop the car. 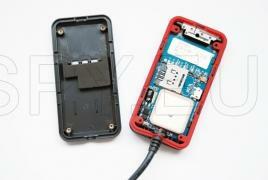 This device is placed completely waterproof case, which which keeps the built-in GPS and GSM antennas. This tracker has a vibration sensor that will alert you when the engine is started. 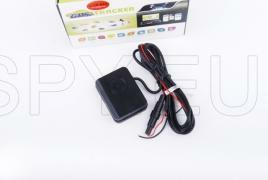 The features of the tracker make it an effective alarm system for your car. It has two sensors - sound and vibration that can inform you via call or SMS, when triggered. Engine noise or vibration from the movement will immediately inform you if your car is moving without your knowledge. 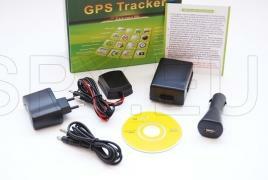 A-GPS function allows you to locate the location of the car based on the cells of the mobile operator. Also, the device has microphone that lets you hear what is being said in the car. There is a panic button that when pressed sends SMS to a predefined phone number. With the mobile app for Android or iPhone, you can track at any time the route of the car. The tracker has no battery and is plugged directly into the power supply of the car. 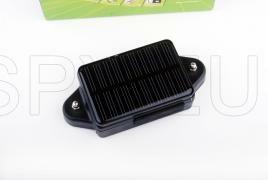 It works with a wide range of supply voltages - 9 to 80V, making it suitable for all vehicles. To see real-time details on a computer or mobile phone first you must activate a mobile Internet card in the tracker and send the GPRS settings depending on the service provider you use. In addition to real-time, you can get information about your current location as a link sent by SMS. 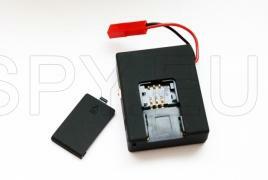 The device has a built-in GSM module, GPS module and OSD II interface. 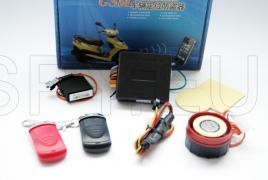 The tracker is mounted and powered by the OBD socket of the vehicle. Installation is very easy because it is plugged into the socket for diagnostics, which is standard for all types of vehicles. 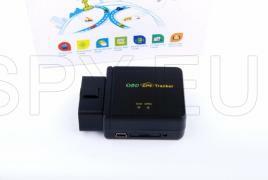 Along with tracking the vehicle the device can send vehicle diagnostics data. Location information can be obtained in several ways - SMS with a link to a map, SMS or coordinates for tracking in real time via GPRS. When you use GPRS tracking data is sent to the free Internet platform provided by the manufacturer through your mobile Internet plan and you can have the information at any time, even on your mobile phone. With this tracker you will be informed by SMS when the engine starts, when the car is moving, when a certain speed limit is exceeded or when the vehicle leaves the perimeter you set.